Substitute Benik Afobe snatched a point for Bournemouth as they twice came from behind to draw 2-2 against Watford. The visitors looked on course for a first win in seven matches after Troy Deeney headed them in front, but Afobe climbed off the bench to bail out the Cherries eight minutes from time. 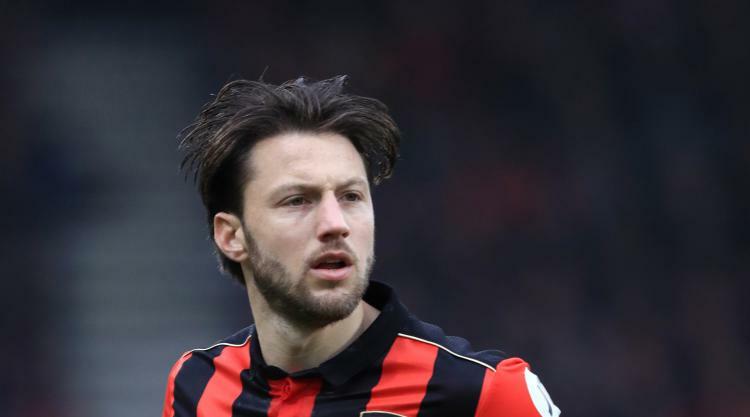 Bournemouth, smarting from back-to-back defeats by Millwall and Hull, had fallen behind to Christian Kabasele's header before Joshua King pegged Watford back shortly after half-time. The Cherries, looking for a first win in three, came out of the blocks quicker, with Callum Wilson heading an early Charlie Daniels cross over. Then Ryan Fraser, the smallest player on the pitch, crept in between Watford's giant centre-halves to meet Jack Wilshere's chip into the area. The midfielder's back-header was looping into the net until Hornets keeper Heurelho Gomes managed to tip the ball over the crossbar. Gomes, who needed a fitness check on a back injury before kick-off, was being kept busy as Wilshere's drive from the edge of the area forced the Brazilian into another save. But despite looking sharp in attack, Bournemouth's defence - which has leaked three goals in eight of their last 10 matches - let them down again in the 24th minute. Jose Holebas' corner was inadvertently flicked on by Steve Cook at the near post to Miguel Britos, who nodded the ball back across goal for Kabasele to head home. Gomes came to Watford's rescue again before the interval after Sebastian Prodl's miscued clearance let in Junior Stanislas. The winger's angled drive took a huge deflection off Britos and suddenly the ball was spinning up and over Gomes again, but the keeper scrambled back to palm it to safety once more. Bournemouth grabbed their equaliser three minutes after half-time when Watford fell asleep at a throw-in. Adam Smith got the ball back from Stanislas and burst past three non-existent challenges before squaring the ball for King, who had a tap-in for his first home goal of the season. The Cherries would have taken the lead five minutes later had Gomes not pulled off another fine save, this time diving to his left to push Fraser's curler around the post. Instead they found themselves behind in the 64th minute, once again to a straightforward set-piece. Deeney showed all his strength by shrugging off Smith, who virtually had the Watford captain in a half-nelson, to nod Tom Cleverley's corner past a flapping Artur Boruc. But Afobe had the final say eight minutes from the end as the visitors hesitated again, this time with Kabasele lying injured. The striker darted into a Kabasele-sized gap in the Hornets defence, gathered Andrew Surman's pass and fired across Gomes to salvage a point.